Main page> What is a Dental Implant? Many people assume a dental implant is identical to a complete tooth replacement. However this is not the case. 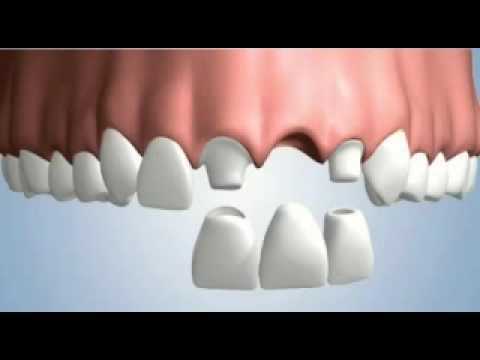 An implant is merely one portion of the tooth replacement procedure. Implants are the most advanced treatment available for replacing missing teeth. They are becoming more affordable and more popular all the time, and no other treatment is comparable with regard to complexity, durability and comfort. What is a complete tooth replacement comprised of? This indicates that a dental implant is designed to replace the root of a missing tooth. If you opt for a tooth replacement with a dental implant it will provide you with a solution that will function as and feel identical to a natural tooth. It will also be far superior to more traditional treatments including bridges and dentures. How can a complete dental implant treatment affect your life? There is no doubt that patients who have successfully received a complete dental implant treatment are now living vastly improved lives. The solidity, reliability and stability of the implant mean that they can enjoy eating a variety of foods. They no longer have to be concerned about whether the tooth is strong enough to withstand them. Increased confidence is another major advantage experienced upon completion of the treatment. Many denture wearers are not confident about smiling or eating a wider range of foods in case the dentures slip or lose traction. But there is no such problem when dental implant treatments are used. Furthermore the success rate of completed treatments is high - approximately 96-97%. This means there is every opportunity for the procedure to be a complete success for the vast majority of people who undertake it. In some cases it may be possible for the patient to lose a tooth and not have it replaced. This is most common when the tooth is in the molar region of the mouth and not in the visible region. However, neglecting to replace a lost tooth is not without its consequences. Over time the teeth on either side of the gap may gradually move out of their original positions. In addition the tooth immediately above the gap may drop down slightly. The altered positioning of all these teeth can gradually lead to problems with the natural bite. Once a tooth is lost, the jaw bone in the area that once held the root of the tooth will start to recede. This is why a dental implant should ideally be performed as soon as possible after the tooth is lost. While it can be done some time afterwards, it is more likely in this situation that bone treatment will be required to build up the jaw again. When a complete dental implant treatment is performed, the patient will likely receive an implant made from titanium or alternatively titanium alloy. These materials are able to integrate easily with bone, forming a solid base on which a fake tooth can be positioned. 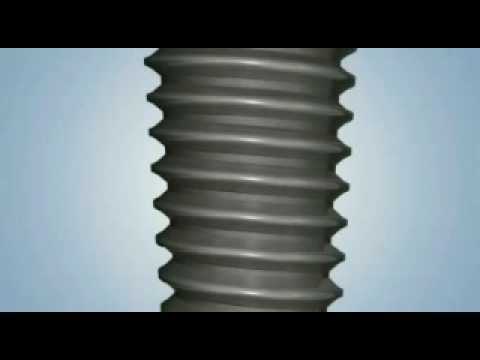 This is known as an osseointegrated implant. Over time the integration between the titanium post and the bone will become stronger. This provides the patient with more confidence and ability to use the tooth just as they would use a natural tooth. There is no need or cause to worry about the issue of dentures slipping or becoming uncomfortable. Dental implants are small screw-like instruments made from titanium or a titanium alloy. These materials are used owing to their biocompatibility – their ability to be accepted into the body. Human bone is able to fuse with titanium, which is why it is widely used in medicine when a bone related tissue replacement is required. Titanium is also ideal for dental implants because it is lighter and stronger than steel. This means it can adequately replace the root of the original lost tooth. Dental implants are available in many different shapes and sizes. More than a hundred implant manufacturers exist worldwide, each one producing its own type and style of implant. Implant dentistry is developing into a very competitive industry. This has led to significant investment in research and development for implant manufacturers wich in turn has meant that newer, better, more stable and aesthetically pleasing types are constantly being produced. 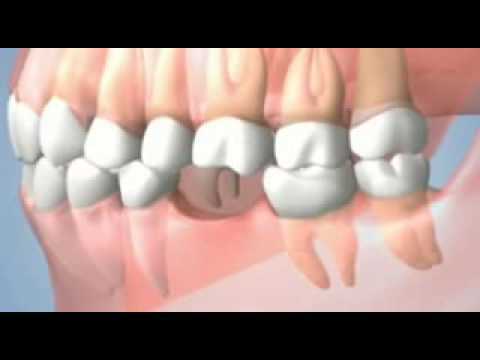 A dental implant treatment is completed with all of the necessary parts and structures. The body of the original tooth is replaced by the dental implant abutment. This is frequently custom made and specific to the top part of the tooth replacement, the crown. Crowns are created from different types of ceramics and they are also specific to each individual and to the specific tooth they are designed to replace. It is absolutely vital to select an implant brand produced by a manufacturer that is well established in the field. You should be fairly confident the manufacturer will be in business for decades to come. 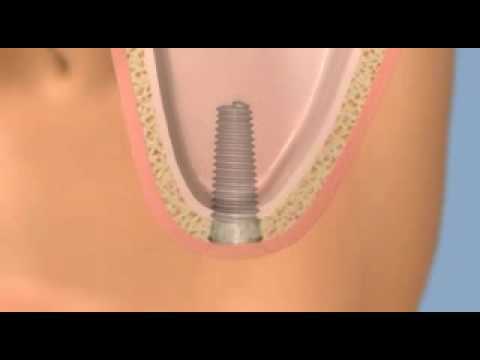 There may be cases where you would require a replacement part for your dental implant in years to come. Thus opting for an implant produced by an established manufacturer will help to ensure you can get the required parts if necessary.